After 13 years of marriage to my high-school sweetheart and four beautiful children later, you can probably guess I might have a box of precious photos tucked away some place safe. 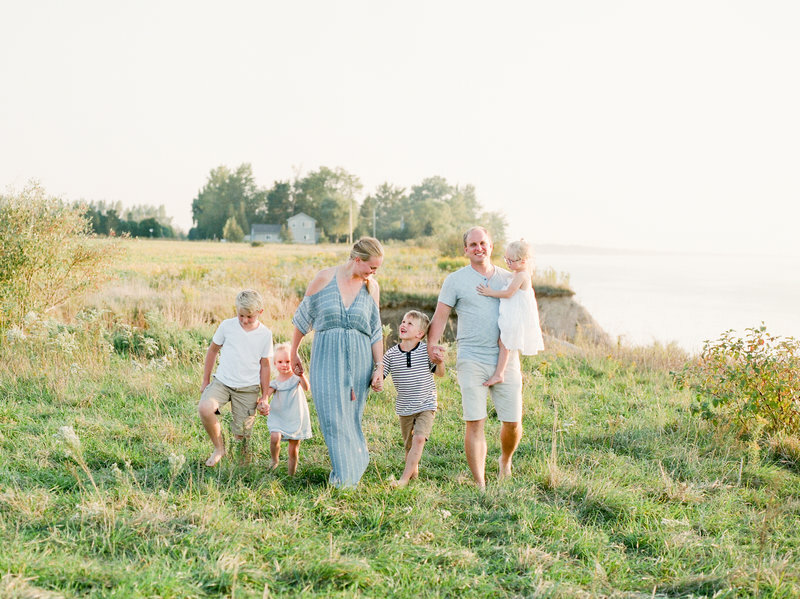 And even though most of these photographs are not super styled or even ideally composed, they tell the perfectly imperfect love story that is ours and I wouldn't want it any other way. I'm a grace-needer, morning person, reader, swimming enthusiast and an artist happiest in and inspired by nature - especially on the shores of Ontario's beautiful beaches. I so appreciate romantic gestures, but am a firm believer that they don't have to be fancy to be meaningful. I definitely am an introvert, but thrive by getting to know other people and taking time to build deep relationships. My heart is inspiring and preserving love stories that become more beautiful with time. If you believe that caring for your family's legacy includes a box of beautiful soulful heirloom photographs that hold your love, joy, laughter and cherished moments then I would be delighted to get to know you more! After 13 years of marriage to my high-school sweetheart and four beautiful children later, you can probably guess I might have a box of photos tucked away some place safe - you definitely are right! 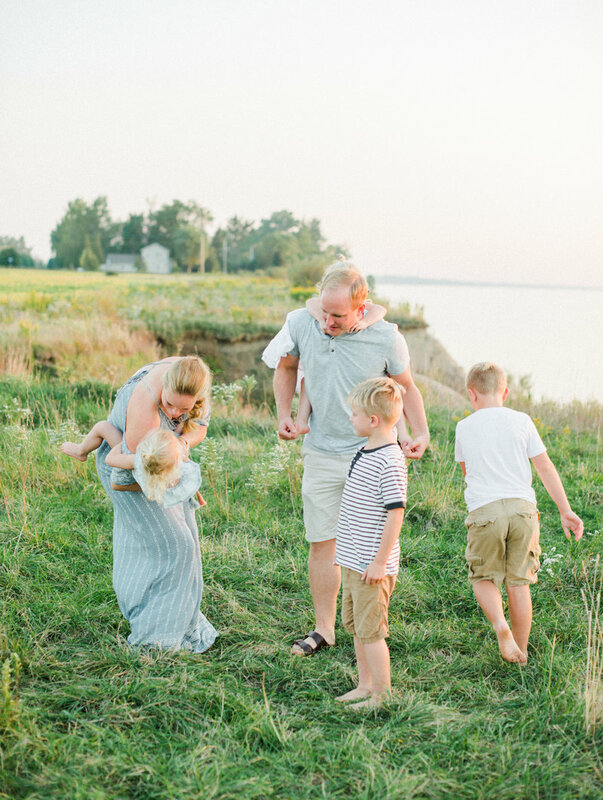 And even though most of these photographs are not super styled or even ideally composed, they tell the perfectly imperfect love story that is ours and I wouldn't want it any other way. 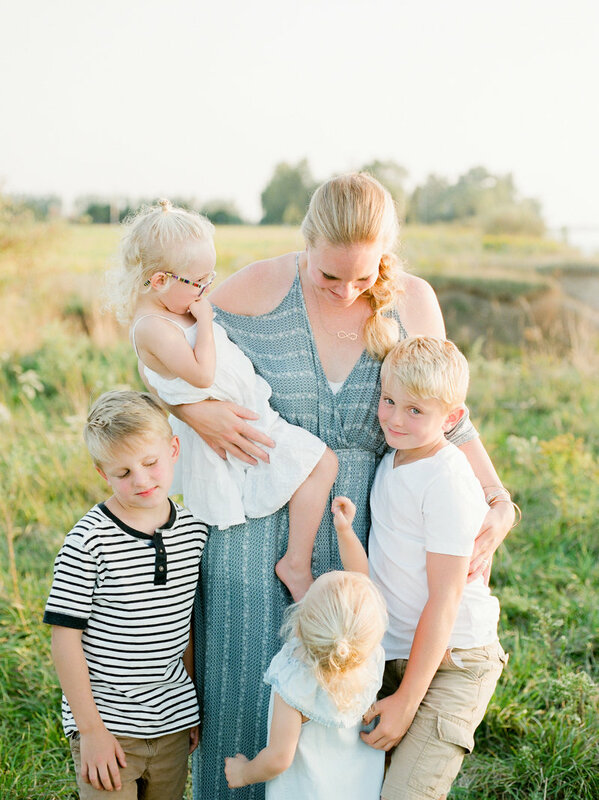 I'm a grace-needer, morning person, water and swimming enthusiast, and an artist happiest in and inspired by nature - especially on the shores of Ontario's beautiful beaches. I so appreciate romantic gestures, but am a firm believer that they don't have to be fancy to be meaningful. I definitely am an introvert, but thrive by getting to know other people and taking time to build deep relationships. My heart is inspiring and preserving love stories that become more beautiful with time. If you believe that caring for your family's legacy includes a box of beautiful soulful heirloom photographs that hold your love, joy, laughter and precious moments then I would be delighted to get to know you more!